“Black Panther” has presold more tickets than any other movie in cinematic history. After watching it, I understand why. The studio did an amazing job of not describing the entire movie in the trailer. The only thing the audience is told is that there is a bad guy. Since we were never told anything about the plot, I had no idea what to expect but I enjoyed it immensely. At its core, “Black Panther” is about a good man learning to be a great king. The current king and Black Panther, T’Challa, is thrown into the position of kingship after his father’s untimely death. Shortly after assuming the throne, T’Challa is made aware of some questionable decisions his father made during his reign, the most destructive of which was his treatment of Erik Killmonger, who turns out to be T’Challa’s illegitimate cousin. I also learned about a new genre from “Black Panther,” this being Afrofuturism. Afrofuturistic art beautifully intertwines elements of the past, present and future. It is set in the future, usually with some utopian or dystopian elements, and deals with present day social issues by using parallels to the historical plights of the African people. “Black Panther” is the biggest mainstream example of Afrofuturism, the first of which was “Blade” in 1998. Other than these two films, Afrofuturism is relatively obscure, being mostly either short films that you can watch for free on Vimeo or YouTube, or cult classics. “Black Panther” embodies Afrofuturism thoroughly. 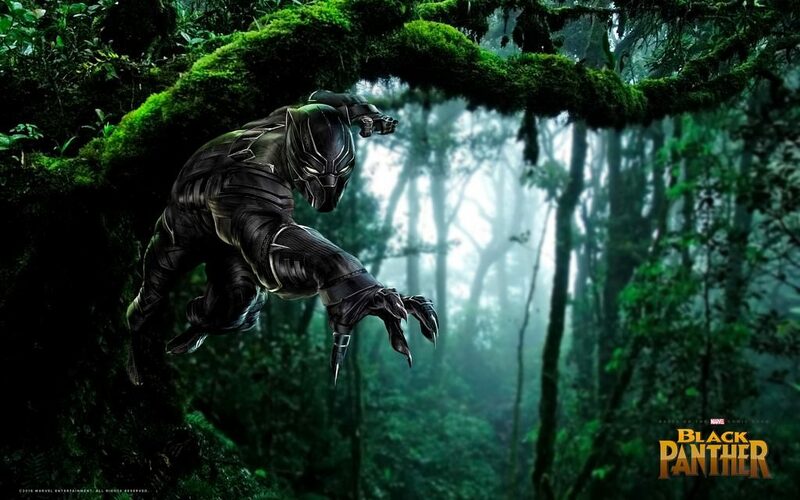 The country of Wakanda is the most technologically advanced in the world because of a mountain full of Vibranium, the most valuable and versatile element on earth. All of this technology is wrapped up in classic African style, with some modern influences of black pop culture. Another important element of Afrofuturism in the film is racism, especially in the context of slavery. Erik Killmonger usurps the throne as King of Wakanda. He plans to get rid of all human institutions, and rebuild the world with Wakanda on top. His plan is to send out massive shipments of Vibranium weapons to the Wakandan War Dogs, small groups of spies in every major city in the world, imbedded to keep tabs on the non-Wakandan world. The War Dogs will then supply the local black people with Vibranium, in order to empower them to rise up against their oppressors. Although Killmonger’s intentions are good and pure, his response to the crisis is purely out of anger. Even during his final moments, Killmonger compares himself to African slaves who jumped ship in order to escape enslavement. Both the Black Panther character and the world of Wakanda will be featured in the upcoming “Avengers: Infinity War,” which comes out April 27.